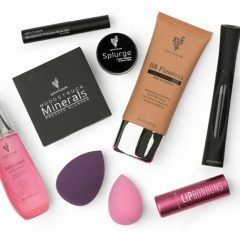 Get glam, get expressive, get this kit for your brows! The humble arch of the eyebrow is making a big impact in the newest cosmetic styles – if you’re just plucking, you’re missing out on a prime opportunity to look fabulous! 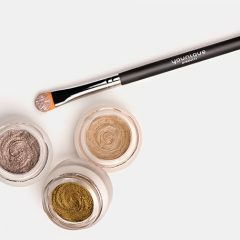 This easy-to-use duo allows you to fill in sparse brows with a perfectly-tinted liner to get that full, dramatic curve. 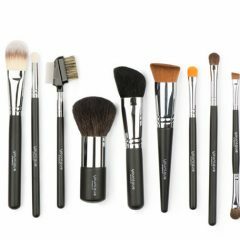 Get a smooth, sleek finish with the pass of a wand when you use the kit’s high-quality brow gel as a finishing touch. Sorry, eyelids – you might just get upstaged! 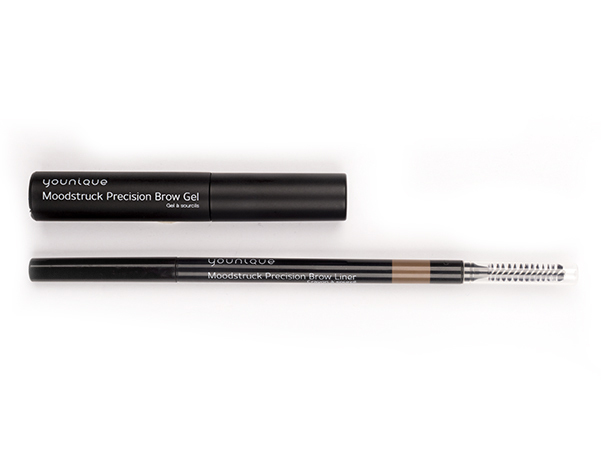 Moodstruck Precision Brow Gel Directions: Use short pressing motions with the brush tip to define shape. Comb through to build and blend. 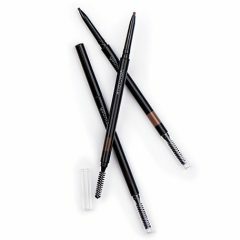 Moodstruck Precision Brow Liner Directions: Apply following the natural shape of your eyebrow, filling where needed with short, light strokes. Ammonium acryloyldimethyltaurate/vp copolymer is a synthetic polymer that works as a thickener. Panthenol, known as “Pro-Vitamin B5,” serves to moisturize and condition hair and skin. Disodium EDTA is a chelating that helps with preservation. Titanium dioxide is a colorant that gives you the look you want. Yellow iron oxide adds color. Black iron oxide adds color. Red iron oxide adds color. Steareth (2, 21) is an emulsifying agent that helps to hold and stabilize the product. Glyceryl stearate is an emollient and emulsifying agent that gives the skin a soft and smooth appearance. Beeswax is an emollient, stabilizer, and also acts as a fragrance and conditioner. Carnauba wax is an emollient and stabilizer and comes from a palm tree native to Brazil. Stearic acid is an emulsifying agent that helps to hold and stabilize the product. Tocopheryl acetate is an antioxidant and helps protect skin. Nylon-6 + titanium dioxide adds body to the eyebrows, making them appear thicker. Squalane is an emollient and skin conditioner. Polyurethane-35 is a film-former that adds resistance to water. Caprylyl glycol is a hair and skin conditioner that also helps to preserve the product. Phenoxyethanol adds fragrance and a preservative effect. Hops extract helps to soften and condition skin. Equisetum arvense extract helps the skin appear more firm. Rosemary leaf extract works as a skin conditioner. Pinus sylvestris cone extract helps tone the skin. Citrus medica limonum (lemon) fruit extract provides antioxidant benefits. Butylene glycol is a solvent and adds fragrance and skin-conditioning benefits. Bismuth Oxychloride adds color and a shiny, iridescent effect. Mica is an opacifying agent that adds color. Diisosteryl Malate is an emollient that helps to nourish and condition the skin. Trietyhlhexanoin is an occlusive that helps to nourish and condition the skin. C20-40 Acid is a surfactant that works to clean the skin. C20-40 Alcohols is an occlusive that helps to nourish and condition the skin. Polyethylene is an adhesive that works to stabilize the product. Synthetic Wax is an emollient and binding agent that also adds fragrance. Glyceryl Behenate/Eicosadioate is an emollient that helps to condition the skin. Ethylene/Propylene Copolymer is a film former that adds to the texture of the product. Ethylcellulose is a binding agent that adds fragrance and thickness to the product. Boron Nitride is an absorbing agent that helps to condition the skin. VP/Eicosene Copolymer is a film former that adds to the texture of the product. Tocopherol is a vitamin E antioxidant that helps protect and condition the skin. Ascorbyl Palmitate is a vitamin C antioxidant that also adds fragrance.